The new MMP170 databases are here! The Mexican Migration Project is pleased to make available to the public its new databases corresponding to the MMP170. The MMP170 databases have 170 communities, which include the original 161 communities plus 9 new additional communities: 5 from Morelos, 2 from Yucatan, and 2 from Queretaro. MMP170 has information on 27,274 Mexican households, 1,057 U.S. households, and individual-level data on 176,701 persons. These data contain information on 8,823 household heads with migration experience to the U.S. and information on 65 migrants to Canada. What's new with the MMP170? (1) Violence perception by the household head, by other HH member, and at the community level. These variables - from table R - are found in the HOUSE file. These questions are available for the new 9 communities (162+). (2) Variables specific to migrants with temporary worker visas (H2). These variables - from tables S and T - are found in MIG, MIGOTHER, and CNMIG files. This set of questions started in 2018 and are available for the last two communities. (3) CNMIG is not only for the household head, but also includes any other migrant with experience to Canada. Now this file has 65 observations. (4) Starting in 2017, in the health variables, we now ask for the year of diagnosis if the person reported an illness. These variables are only for household head and spouses; variables can be found in PERS, MIG, and HOUSE. (5) Starting in 2017, we added a column on tables Fa/Fb asking for schooling level. This variable was created with the goal to measure school reinsertion. This variable is in LIFE and SPOUSE respectively. (6) COMMUN file has updated homicide rates for 2016 & 2017 at the municipio level. Supplementary files - NATLYEAR and NATLHIST - have been updated. Codebooks and files may be found directly in our website. Data are availble in the following formats: SAS, SPSS, Stata, and CSV through the OPR's archive. This release supersedes all earlier releases of the data. NOTE: MIG170 had a duplicate observation for community 167 household 86. If you downloaded the data prior to March 18th, please download it again. Please email us citations to any books, journal articles, conference presentations, or working papers you have authored. We will be holding 2 worskshops this summer. (2) July 16th to 20st, from 9:00 to 13:00 hrs at Colegio de México. We will be teaching the ethnosurvey, and the use of crossectional and longitudinal data in order to do migration researh and analysis. More information at: CEDUA COLMEX - Talleres de Verano 2018 Classes will be in Spanish. Space is limited to 20 participants. 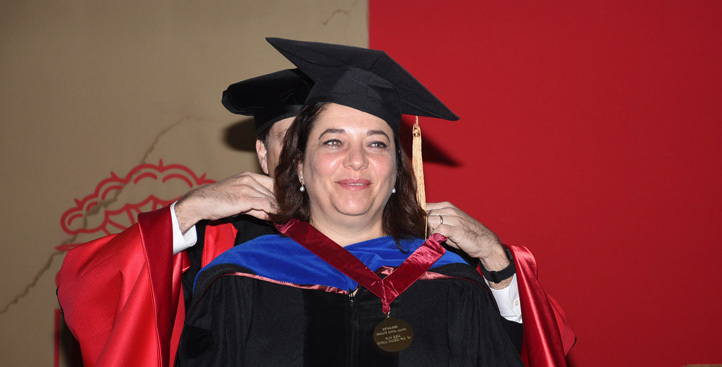 Silvia E. Giorguli Saucedo is the 2018 recipient of the Horace Mann Medal. The honor is bestowed annually to a Brown University Graduate alumnus or alumna who has made significant contributions in his or her field. She was honored at the 2018 Commencement. Congratulations! 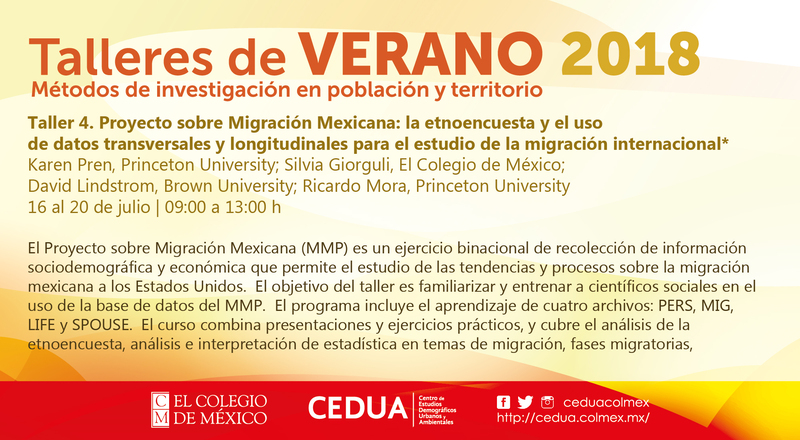 Lectures Jorge Durand of Migration Studies is an initiative by Universidad de Guadalajara. Douglas S. Massey and Jorge Durand - Awarded the 2018 Malinowski Award! 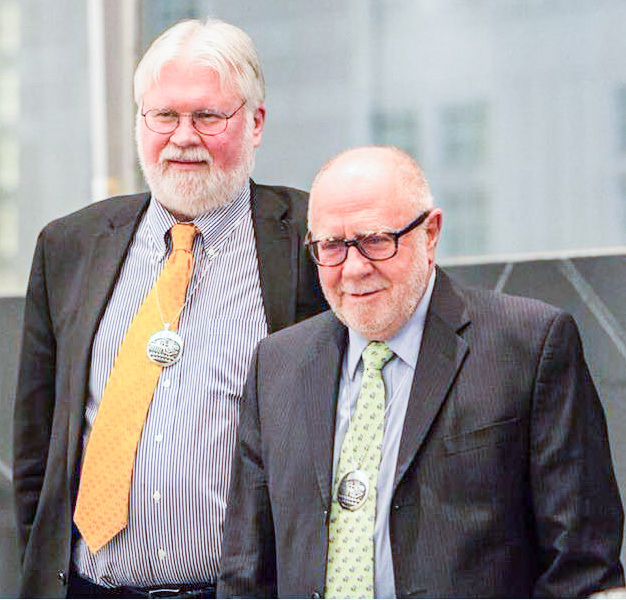 On April 6th, 2018, Douglas S. Massey and Jorge Durand received the 2018 Malinowski Award at the SfAA Annual Meeting in Philadelphia. The Bronislaw Malinowski Award is presented to an outstanding social scientist in recognition of efforts to understand and serve the needs of the world's societies and who has actively pursued the goal of solving human problems using the concepts and tools of social science during one's entire career. The Mexican Migration Project is celebrating its 30th anniversary! The MMP is turning 30 years old. We will be celebrating this achievement with a conference at El Colegio de Mexico on October 26 and 27, 2017. The conference is titled "Treinta Años Escribiendo Historia." We will have scholars who have been involved with the project since its beginning to the new generations. Some of the presenters: Silvia E. Giorguli Saucedo, David P. Lindstrom, Douglas S. Massey, Jorge Durand, Enrique Martínez Curiel, Andrea Bautista León, Jorge Ariel Ramírez Pérez, Judith A. Boruchoff, Edith Y. Gutiérrez Vázquez, María Aysa-Lastra, Filiz Garip, Asad Asa, Fernando Riosmena, Mao-Mei Liu, Jazmín García Gómez, Adriana Sletza Ortega Ramírez, Jackelyn Hwang, Nadia Y. Flores-Yeffal, Gabriela León-Pérez, Bryan Moorefield, Luis Enrique González Araiza, Karen A. Pren, Katharine Donato, Erin R. Hamilton, Anthony Bernard-Sasges, Mauricio Rodríguez Abreu, Bryan Jensen, María Adela Angoa Pérez, Emilio Parrado, Angie Ocampo, Diego Terán Paez, Salvador Cobo Quintero, y Gabriela Sánchez-Soto. Open to the public. Presentations will be in English and Spanish. Final program. The new MMP161 databases are here! The Mexican Migration Project is pleased to make available to the public its new databases corresponding to the MMP161. The MMP161 databases have 161 communities, which include the original 154 communities plus 7 new additional communities: 3 from Mexico state, 3 from Puebla, and 1 from Queretaro. MMP161 has information on 26,056 Mexican households, 1,057 U.S. households, and individual-level data on 169,945 persons. These data contain information on 8,557 household heads with migration experience to the U.S. and information on 54 household heads with Canadian migration experience. Data are availble in the following formats: SAS, SPSS, Stata, and CSV through the OPR's archive. We will be holding 3 worskshops this summer. (2) July 17th to 21st, from 9:00 to 13:00 hrs at Colegio de México. We will be teaching the ethnosurvey, and the use of crossectional and longitudinal data in order to do migration researh and analysis. More information at: CEDUA COLMEX - Talleres de Verano 2017 Classes will be in Spanish. Space is limited to 20 participants. (3) August 15th to 18th, from 9:00 to 12hrs & 14:00 to 16:00 hrs at Benemérita Universidad Autónoma de Puebla. We will be teaching the ethnosurvey, and the use of crossectional and longitudinal data in order to do migration research and analysis. Space will be limited to 20 participantes. More information TBA soon. The Board of Directors of the Society for Applied Anthropology selected Douglas S. Massey and Jorge Durand to receive the 2018 Bronislaw Malinowski Award. The Malinowski Award is presented annually to honor the career achievements of an outstanding social scientist in the application of the social sciences to comtemporary issues. Their exceptional accomplishments during their distinguished carrer placed them in the category with previous winners including Gunnar Myrdal, Everett C. Hughes, Laura Thompson, Conrad Arensberg, Salomon Nahmad, Frances Fox Piven, Paul Farmer, and Louise Lamphere. They will be recognized on the 78th Annual Meeting of Anthropology in Philadelphia, PA next April 3-7, 2018. "Comprender las migraciones internacionales" is aimed to the Spanish speaking researchers. It contains various articles written by Douglas S. Massey and colleagues translated in Spanish. Book may be purchased directly at Editorial: http://www.ed-bellaterra.com/. Paper back book is available as well as the version in PDF. Hay pocas obras en las ciencas sociales que ayuden a comprender de modo tan profundo los rasgos y desafíos de las migraciones internacionales en el mundo globalizado del siglo XXI como en los textos de Douglas S. Massey y colegas recogidos en este libro, textos ya clásicos en la sociología y la demografía. Edición y estudio introctorio por Lorenzo Cachón. There are four new books publised. These books used the MMP databases. 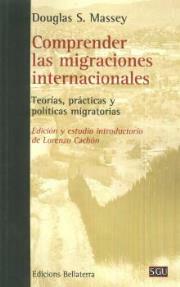 María Gertrudis Roa Martínez, a professor of sociology at Universidad del Valle - Cali, is the editor of "Migración internacional: patrones y determinantes. Estudios comparados Colombia-América Latina - Proyecto LAMP" published by Programa Editorial Universidad del Valle. Filiz Garip, a professor of sociology at Cornell University, is the author of "On the Move: Changing Mechanisms of Mexico-U.S. Migration" published by Princeton University Press. Why do Mexicans migrate to the United States? Is there a typical Mexican migrant? Beginning in the 1970s, survey data indicated that the average migrant was a young, unmarried man who was poor, undereducated, and in search of better employment opportunities. This is the general view that most Americans still hold of immigrants from Mexico. On the Moveargues that not only does this view of Mexican migrants reinforce the stereotype of their undesirability, but it also fails to capture the true diversity of migrants from Mexico and their evolving migration patterns over time. 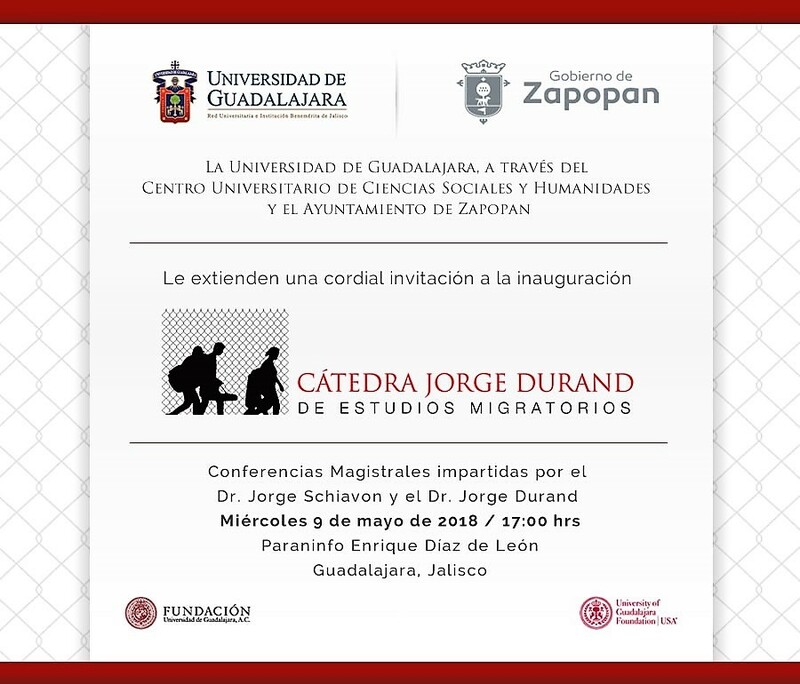 Jorge Durand, project director of the MMP, is the author of "Historia mínima de la migración México-Estados Unidos" published by el Colegio de México. This books recaps the migration history of more than one century, starting in 1884 when El Paso del Norte is established, and concludes in 2015. Enrique Martínez Curiel, a professor at the Centro Universitario de los Valles - Universidad de Guadalajara, is the author of "Los que se van y los que se quedan" published by Universidad de Guadalajara. This book is based on Martínez Curiel's Ph.D. dissertation, which received the award of the best Ph.D. dissertation in Social Sciences and Humanities at UNAM in 2015. It is a binational and longitudinal research that took place in México and the United States. It analizes the formal education and transition to adulthood of children who stayed behind in Ameca, Jalisco vs those migrant children from Ameca who live in various communities in California. This book studies the issues of youth living in different contexts, the proceses that modify their aspirations, the effect of educational attainment, and their parents' migration status, among other issues. Analysis is based on binational data from people living in Ameca, Jalisco and various places in California. 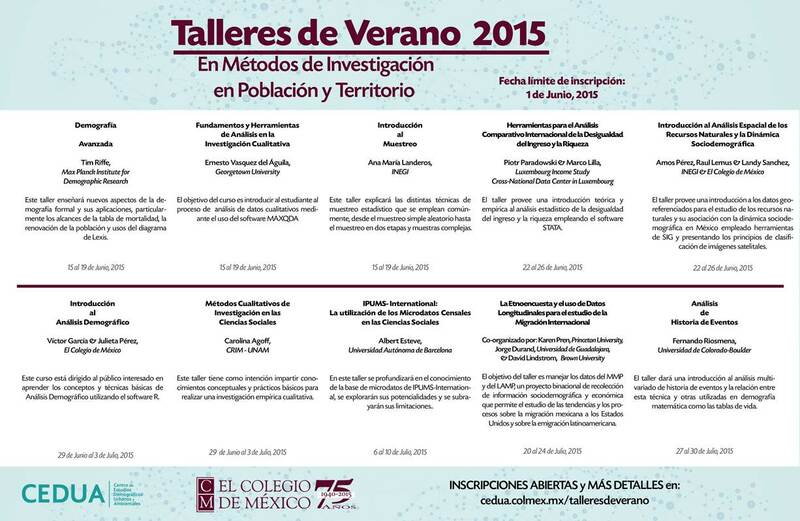 We will be teaching a workshop this Summer from July 20 to 24 at COLMEX. We will be covering methodology, ethnosurvey, labor histories, and we will be doing descriptive and logistic regressions with the MMP datasets. The classes will be taught by Professor Jorge Durand, MMP Manager Karen Pren, and Professor David Lindstrom. Classes will be in Spanish. You may find more information and register at CEDUA-COLMEX. This workshop is free of charge. The new MMP150 databases are here! 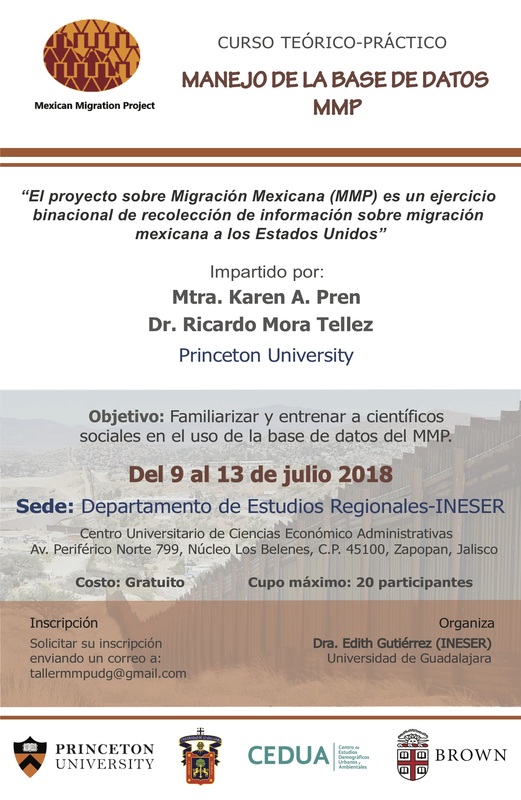 The Mexican Migration Project is pleased to make available to the public its new databases corresponding to the MMP150. The MMP150 databases have 150 communities, which include the original 143 communities plus 7 new additional communities: 4 from Jalisco and 3 from Puebla. MMP150 has information on 23,828 Mexican households, 957 U.S. households, and individual-level data on 157,879 persons. These data contain information on 8,052 household heads with migration experience to the U.S. and information on 49 household heads with Canadian migration experience. Data is availble in three formats: SAS, SPSS, Stata, & CSV through the OPR's archive. HOUSE150 was updated on May 12! Supplemental data at National level (NATLYEAR & NATLHIST) were updated on May 15. They contain data up to 2013. You may download them from our Supplemental Data page. On May 29, 2014, we released an updated version of the COMMUN143 file. It now includes yearly homicide rates for the 143 communities for the years 1990 to 2012. We hope you find them useful for your analysis. The new MMP143 databases are here! The Mexican Migration Project is pleased to make available to the public its new databases corresponding to the MMP143. The MMP143 databases have 143 communities, which include the original 134 communities (MMP134) plus 9 new additional communities: 5 from Queretaro and 4 from Tabasco. MMP143 has information on 22,894 Mexican households, 957 U.S. households, and individual-level data on 151,785 persons. These data contain information on 7,700 household heads with migration experience to the U.S. and information on 49 household heads with Canadian migration experience. Data is availble in three formats: SAS, SPSS, & Stata through the OPR's archive. The new MMP134 database is here! The Mexican Migration Project is pleased to make available to the public its new database: MMP134. The MMP134 database has 134 communities, which includes the original 128 communities (MMP128) plus 6 new additional communities: 2 from San Luis Potosí, 3 from Puebla, and one from Guanajuato. MMP134 has information on 21,522 Mexican households, 957 U.S. households, and individual-level data on 144,258 persons. These data contain information on 7,398 household heads with migration experience to the U.S. and information on 48 household heads with Canadian migration experience. In addition, we have updated the following supplementary datafiles: COMMUN, NATLYEAR and NATLHIST. COMMUN file now includes 2010 census data from INEGI for all 134 communities. Both NATLYEAR and NATLHIST files contain data upto 2010 as well. The new MMP128 database is here! The Mexican Migration Project is pleased to make available to the public its new database: MMP128. The MMP128 database has 128 communities, which includes the original 124 communities (MMP124) plus 4 new additional communites, from YUCATAN state. MMP128 has information on 20,553 Mexican households, 922 U.S. households, and individual-level data on 138,711 persons. These data contain information on 7,237 household heads with migration experience to the U.S. and information on 48 household heads with Canadian migration experience. Detrás de la trama. Políticas migratorias entre México y Estados Unidos is the Spanish version for Beyond Smoke and Mirrors: Mexican Immigration in an Era of Economic Integration. This books shows how U.S. immigration policies enacted between 1986-1996 -- largely for symbolic domestic political purposes -- harm the interests of Mexico, the United States, and the people who migrate between them. The costs have been high. The book documents how the massive expansion of border enforcement has wasted billions of dollars and hundreds of lives, yet has not deterred increasing numbers of undocumented immigrants from heading north. The authors also show how the new policies unleashed a host of unintended consequences: a shift away from seasonal, circular migration toward permanent settlement; the creation of a black market for Mexican labor; the transformation of Mexican immigration from a regional phenomenon into a broad social movement touching every region of the country; and even the lowering of wages for legal U.S. residents. What had been a relatively open and benign labor process before 1986 was transformed into an exploitative underground system of labor coercion, one that lowered wages and working conditions of undocumented migrants, legal immigrants, and American citizens alike. In Braceros. 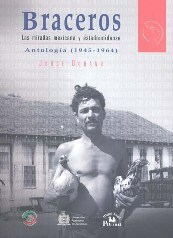 Las miradas mexicana y estadounidense, Jorge Durand embraces 11 texts of Mexican and American authors published between 1942 y 1964. His objective is to offer materials not easily accessible to understand the Bracero Program, a key era for the Mexico-U.S. migration. This anthology seeks to bring forth questions in order to explore new themes and problems around a crucial subject: the temporal workers. All the authors in this anthology agree that the Bracero Program represented an improvement to the "enganche" era. They also agree that this program meant an improvement in working conditions compared to "undocumented" who were not protected by the Mexican government and who do not have working contracts. The situation in the bracero era was not panacea either and working conditions, food, health, and housing were always difficult. However, the situation of migrant workers fifty years ago was much better than the one undocumented workers face today. Thus, it is important to revise and analyze texts that may contribute to refrain from repeating mistakes and recover experiences which may contribute to formulate a new migratory policy to temporal workers. Beginning in the 1990s, immigrants to the United States increasingly bypassed traditional gateway cites such as Los Angeles and New York to settle in smaller towns and cities throughout the nation. With immigrant communities popping up in so many new places, questions about ethnic diversity and immigrant assimilation confront more and more Americans. New Faces in New Places, edited by distinguished sociologist Douglas Massey, explores today’s geography of immigration and examines the ways in which native-born Americans are dealing with their new neighbors. New Faces in New Places illustrates the many ways that communities across the nation are reacting to the arrival of immigrant newcomers, and suggests that patterns and processes of assimilation in the twenty-first century may be quite different from those of the past. Enriched by perspectives from sociology, anthropology, and geography New Faces in New Places is essential reading for scholars of immigration and all those interested in learning the facts about new faces in new places in America. The new MMP118 database is here! The Mexican Migration Project is pleased to make available to the public its new database: MMP118. The MMP118 database has 118 communities, which includes the original 114 communities (MMP114) plus 4 new additional communites, from MORELOS state. MMP118 has information on 18,804 Mexican households, 922 U.S. households, and individual-level data on 128,940 persons. These data contain information on 6,848 household heads with migration experience to the U.S. and information on 47 household heads with Canadian migration experience. In addition, the new 4 communities feature health questions pertaining to the household head and spouse. Data is availble in three formats: SAS, SPSS, & Stata at the OPR's archive. Supplementary files at the NATIONAL LEVEL are updated ! 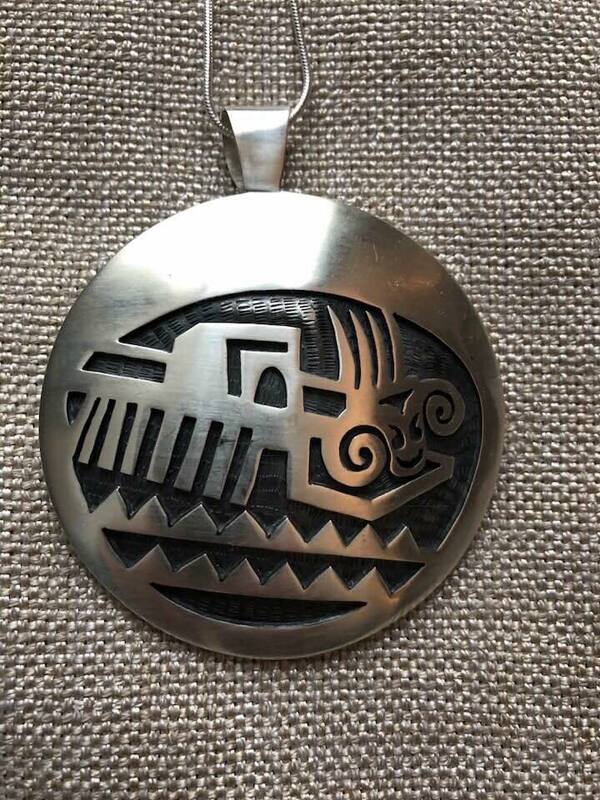 The Mexican Migration Project is pleased to make available its latest updates for the supplemental files at the national level: NATLYEAR and NATLHIST. NATLYEAR is a longitudinal file containig several national-level indicators of macroeconomic conditions in the United States and Mexico since 1965. NATLHIST, also a longitudinal file, contains selected indicators of Mexico-U.S. migration from 1900 through 2005. Files are available in Excel, SAS, SPSS, and Stata. Click here to download their codebooks. The new MMP114 database is here! The Mexican Migration Project is pleased to make available to the public its new database: MMP114. The MMP114 database has 114 communities, which includes the original 107 communities (MMP107) plus 7 new additional communites. The new 7 communities include 2 communities from Michoacan, and 5 from Mexico state. In addition, starting from community 110, we also measure migration to Canada from household heads. MMP114 has information on 18,081 Mexican households, 922 U.S. households, and individual-level data on 125,130 persons. These data contain information on 6,705 household heads with migration experience to the U.S. and information on 45 household heads with Canadian migration experience. Data is now availble in three formats: SAS, SPSS, & Stata at the OPR's archive. The new MMP107 database is here! 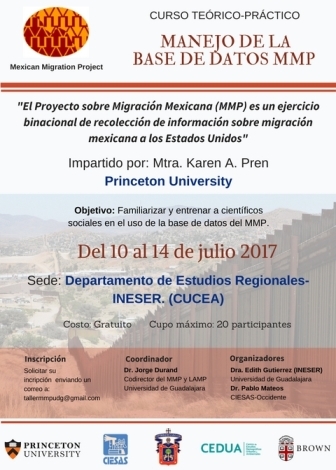 The Mexican Migration Project is pleased to make available to the public its new database: MMP107. The MMP107 database has 107 communities, which includes the original 93 communities (MMP93) plus 14 new additional communites. The new 14 communities include 3 communities from Tlaxcala, 7 from Veracruz, and 4 from Jalisco. Jorge Durand elected a Foreign Associate of the U.S. National Academy of Sciences. Jorge Durand has been elected a Foreign Associate of the U.S. National Academy of Sciences at its 141st meeting on April 20, in recognition of his distinguished and continuing achievements in original research. He was one of 18 Foreign Associates elected worldwide and across all disciplines. Election to membership is considered one of the highest honors that can be accorded to a scientist. The new MMP93 database is here! 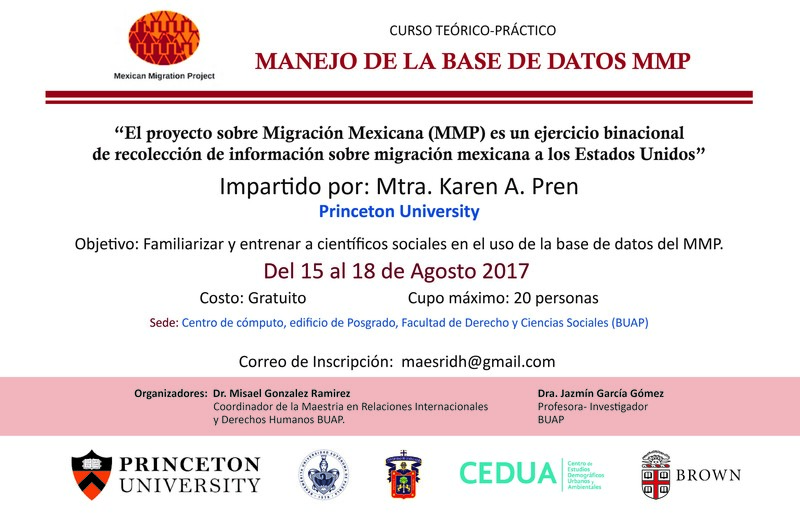 The Mexican Migration Project is pleased to make available to the public its new database: MMP93. The MMP93 database has 93 communities, which includes the original 71 communities (MMP71) plus the new additional 22 communites that have never been available to the public. The new MMP93 database is now available also at the State Level!